The pictures shown above are not captured in the courtrooms of a highly developed country. 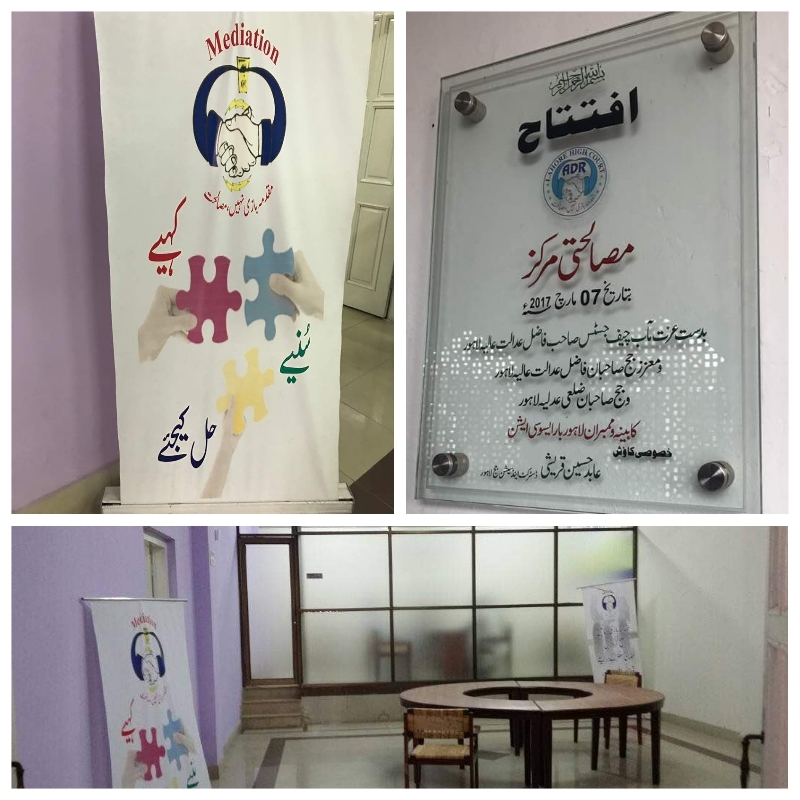 These are the newly developed Alternative Dispute Resolution (ADR) Centres established across 36 districts of Punjab. The primary aim behind these Centres is to provide mediation with the consent of the litigants, which will ultimately decrease the burden on courts along with being cost and time effective. 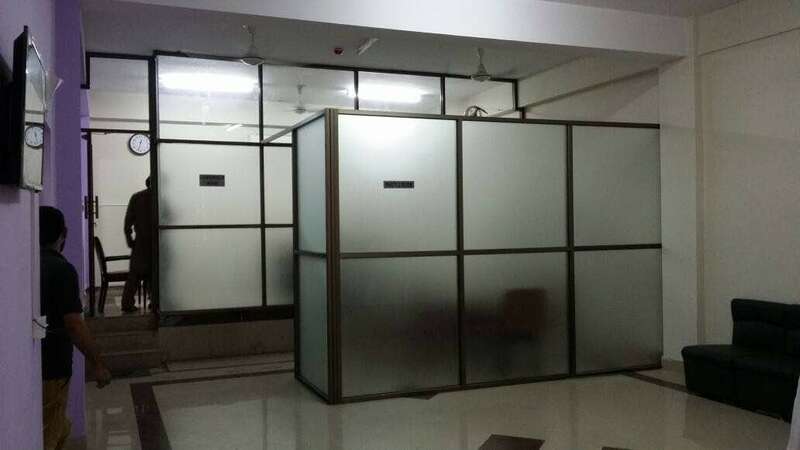 These mediation centres draw expertise of judges specially trained in the field of ADR by the Punjab Judicial Academy. Mr. Imran Nazir Ch. (SCJ). We found the mediators to be approachable and highly competent in conducting mediation. The parties sitting with them for the resolution of their disputes also looked relaxed and content as compared to the litigants of traditional courts. 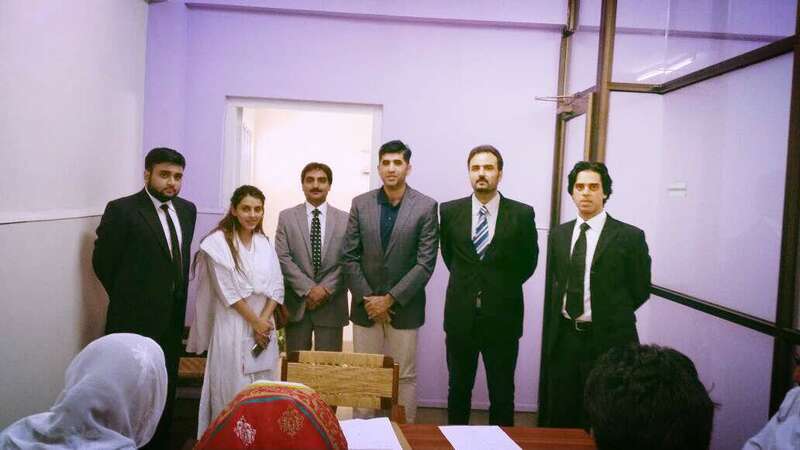 The team observed mediation proceedings being conducted in a matter of specific performance of a contract by Senior Civil Judge Mr. Imran Nazir Chaudhry. Mr. Chaudhry highlighted the fact that many cases were being referred to him by courts with the success rate of settlement to be nearly 100%. He said that even though mediating between parties was a difficult task, the training of the mediators and the resolve of the parties to settle disputes had made the work easy and interesting. Mr. Chaudhry also informed the team that no costs were incurred by the parties who choose to opt for mediation. The commendable work of Mr. Imran Nazir Chaudhry could be gauged from the fact that between the 1st and 14th of June 2017, 88 cases were referred to him and he managed to mediate successfully in all of them without even a single case failing in mediation. In total, he has successfully mediated 89 cases in just two weeks which means that not only 178 parties have been relieved from the ongoing judicial process, the workload of normal courts has also lessened by 89 cases. This is the work of just one mediator in one district in 2 weeks’ time. This ratio reflects the overall effect of this setup. 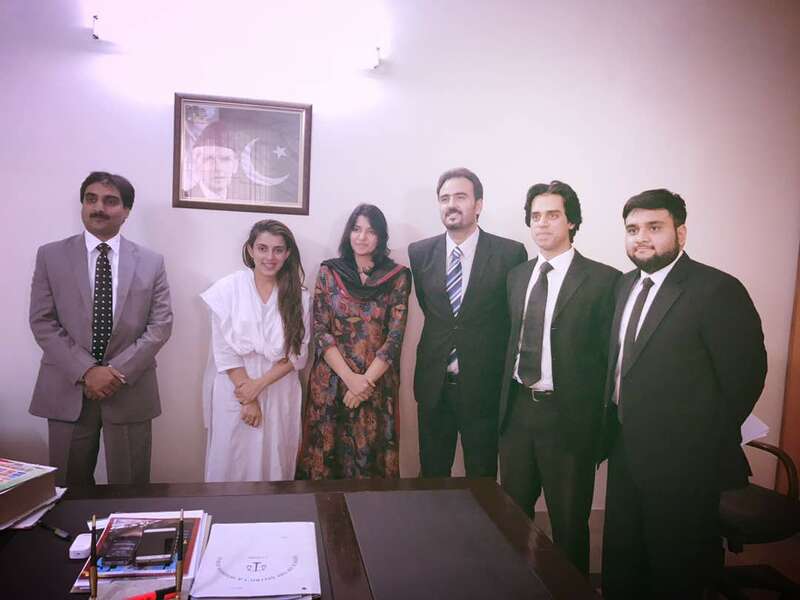 The team also met Ms. Aisham Bint e Sadiq, Senior Civil Judge, who was conducting a mediation session with the parties and their lawyers. Once again, the team could see the composure of the parties and the competence of Ms. Sadiq in trying to reach a settlement. Ms. Sadiq talked about her contentment and fulfilment in resolving disputes between parties who had been suffering from the agony of litigation for years. She also added the importance of not only having a quick settlement but also its immediate execution. 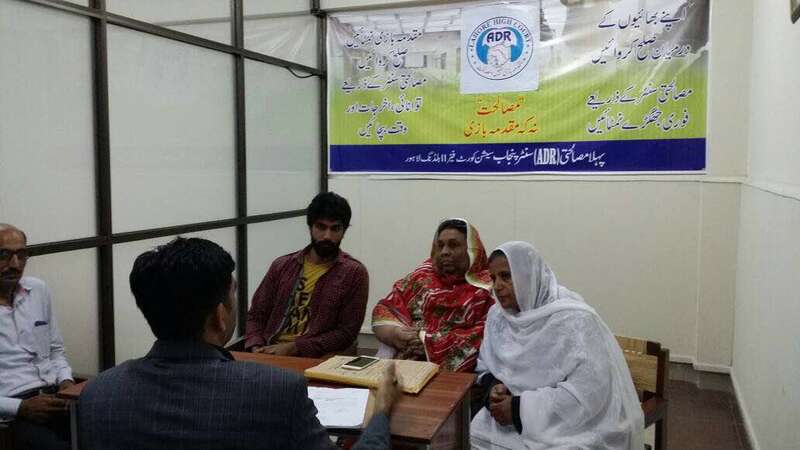 She told the team about a case referred to her which was pending in the traditional court for 23 years but only took a few days to reach settlement at the ADR Centre. Ms. Sadiq has received 92 references from 1st June 2017 to 14th June 2017 out of which 83 have already been mediated successfully without failure. 83 cases in two weeks is again a phenomenal figure which portrays the overall success and scope of ADR Centres in Punjab. According to a report, 1170 cases had been referred to these Centres in the first two weeks of June, out of which 682 have already been settled. If a majority of cases gets resolved with this speed, the workload of our traditional courts will decrease and their efficiency will increase at the same time. We as a society are quick in pointing out flaws in our legal system but slow in appreciating the positive work done by many for the betterment of this society. 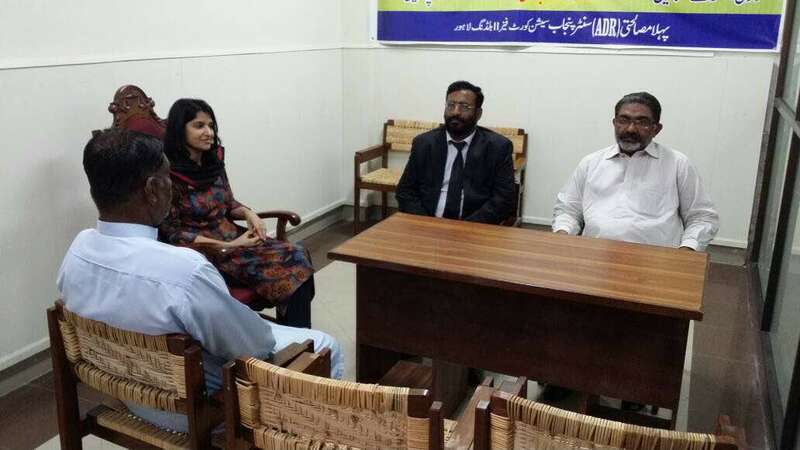 The incumbent Chief Justice of the Lahore High Court, Justice Mansoor Ali Shah, the administrative staff working for the success of ADR Centres, the honourable judges deputed as mediators in these Centres and the Punjab Judicial Academy, all must be appreciate to lay the foundation of a result-oriented ADR system.